At 3:50 p.m. on the afternoon of July 28, 1984, a Learjet 25B with a pilot, co-pilot, and three passengers aboard was scheduled to depart La Fleur Airport in Waterville for Westchester Country, New York. As the aircraft was making what appeared to be a normal take off, cockpit warning lights suddenly indicated a problem with the engines. The aircraft went off the runway and into a rocky – brush area and was damaged beyond repair. The pilot and co-pilot were injured, but the three passengers were not, and took another flight to New York. 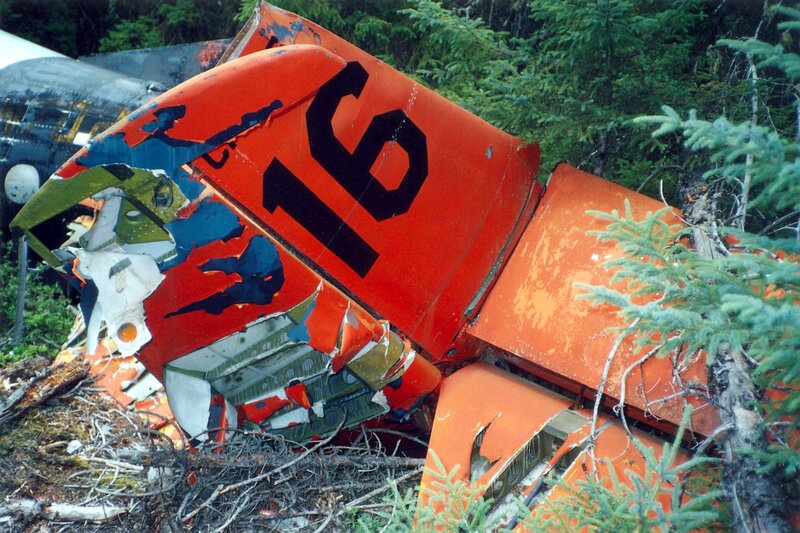 On June 18, 1980, a Cessna 150G with a man and woman aboard crashed in a wooded area near Searsport. Both were killed in the crash. On February 11, 1966, a 47-year-old man from Norwich, Connecticut, took off from Houlton Airport in Houlton, Maine, in a Piper Commanche, bound for Caribou, Maine, and disappeared in route. Searchers discovered the man’s body and the wreckage of the aircraft in a field a few miles away, a half-mile from the Canadian border. 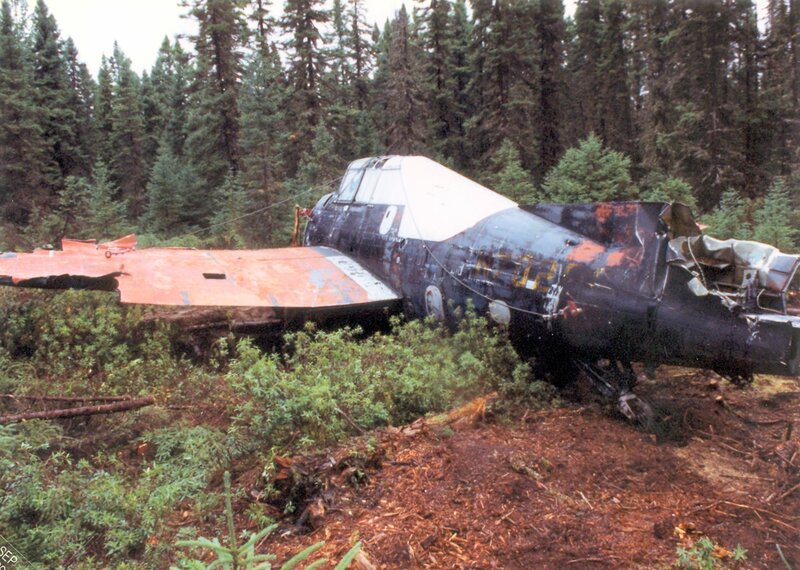 On August 11, 1982, a yellow and white Cessna 180 seaplane with five people aboard crashed into a wooded area in the town of Porter. The site of the crash was about 15-20 feet off Route 160, near the New Hampshire state line. Those aboard included the pilot, a husband and wife, and their two children. The pilot and the husband died in the crash. The mother and two children were transported to a medical facility. The cause of the crash was not stated. On June 14, 1979, a C-54 aircraft which had been converted for insecticide spraying work, was spraying for spruce budworm over northern Maine. The spraying program was being conducted in an attempt to halt the spread of the budworm, and prevent it from killing evergreen trees throughout the state. As the aircraft was passing near Eagle Lake in Aroostook County, a fire developed in the cockpit. With no open area to set down, the pilot landed the huge aircraft on Eagle Lake. The pilot and co-pilot were the only two persons aboard, and neither was injured. The plane remained afloat and was towed to shore by boaters. A logistical problem concerned just how the aircraft was to be removed. One suggestion was to cut a one-thousand foot swath through the woodlands from the lake shore to a narrow dirt road leading away from the area. Another idea was to float the plane to another area where it could be removed via another dirt road. However, the aircraft has a 117 foot wingspan, which neither road could accommodate. A third option was to dismantle the plane. In the early evening of August 14, 1992, a twin-engine Beechcraft Baron, was taking off from an airport located behind the Oxford Plains Speedway, when both engines suddenly lost power while the plane was at an altitude of 200 feet. The aircraft went down in a wooded area near the speedway. The landing gear was torn away, but the fuselage remained intact, and there was no fire. There were two men aboard the aircraft at the time of the accident. The student pilot, a 29-year-old man from Providence, Rhode Island, and his passenger, a 29-year-old man from North Andover, were both transported to medical facilities with serious injuries. The accident was video-taped by another student pilot who was at the airport and happened to be filming the take-off. Source: Bangor Daily News, “Two Men Injured When Plane crashes Near Oxford Speedway”, August 15, 1992, page 23. On September 6, 1927, barely four months after Charles Lindbergh completed his historic flight across the Atlantic, three men took off from Old Orchard Beach, Maine, on what was to be a history making non-stop 4,000 mile flight to Rome, Italy. Their aircraft was large single-engine monoplane named Old Glory capable of carrying three passengers and supplies. The project was sponsored by newspaper giant William Randolph Hearst, who sent his representative Philip Payne along as an observer. The pilots, James De Witt Hill, and Lloyd Wilson Bertaud were both experienced flyers who had similar life experiences. Bertaud was born in Alameda, California, on September 20, 1896. At the age of twelve he built and flew his own glider which he made from plans found in a magazine. While still in his teens he took a job as a mechanic at a California air field where he spent most of his wages on flying lessons. By the age of 18 he was a licensed pilot; one of the youngest in the United States. When America entered World War I, he enlisted in the army where he served as a flight instructor. After the war he flew as a stunt pilot, and later as a test pilot for an aircraft manufacturer. In 1924 he became a postal flyer for the U.S. Mail. In June of 1926, while flying over a small town in the Allegheny Mountains, he happened to look down and saw a house on fire. It was still very early in the morning at a time when people would still be asleep, so Bertaud gunned his engine as he swooped low over the house arousing occupants and nearby neighbors. The owner of the burning house later wrote him a letter of thanks for saving their lives. Hill was born in Scottdale, Pennsylvania, March 2, 1885. While still a boy, he fashioned a parachute made from his mother’s table cloth and used it to jump from a barn roof. Although the parachute didn’t perform as expected, Hill wasn’t hurt, and the incident didn’t deter him from wanting to fly. He later attended Cornell University to study mechanical engineering, but was forced to quit due to ill health. After regaining his health, he learned to fly at the Glen Curtis School in California. Like Bertaud, he too served as a flight instructor with the United States Army during WWI, and also joined the air mail service afterwards. Shortly before take-off Hill won a coin toss for the honor of being at the controls as the plane left America. As the men were climbing aboard, Payne ran back and kissed his wife Dorothy one more time. The take-off went smoothly, but the heavily laden plane required a mile and a half to become airborne. Once aloft it continued southward for a bit before turning out to sea and fading into the sky. The plane carried with it a wreath which the men were to drop when they reached the coast of Newfoundland in memory of two Frenchmen, Charles Nungesser, and Francois Coli, who both disappeared in their plane, the White Bird, while attempting a trans-Atlantic crossing earlier that year. The banner on the wreath read; “Nungesser and Coli, you showed the way, we followed. Bertaud, Hill, Payne.” In a twist of irony, they did follow the two French aviators, and have never been seen since. A few hours later someone from Old Glory sent a wireless S.O.S. to the ships at sea that the plane was in trouble about 500 miles off Newfoundland. The nearest ship was the Transylvania, roughly eighty-three miles distant, but the weather was bad, and there was no moon, which made for nearly pitch black searching conditions. The steamship Carmania later reported that prior to the SOS, Old Glory had transmitted they were following “the great circle to Rome” at a speed of about 100 mph. The weather service reported that the weather along this route was unsettled, and speculated that they had run into an unexpected storm. The Old Glory was equipped with fuel tanks that could be quickly emptied in the event of an emergency water landing so the added weight wouldn’t pull the aircraft under, giving the crew time to escape in a rubber raft it carried. However, with rough seas being reported by ships in the area it was offered that the rubber raft wouldn’t last long. Many assumed the Old Glory had suffered the same fate her sister ship, the Saint Raphael, which disappeared on August 31, 1927, while on a flight from England to Canada , taking with it Princess Anne of Lowenstein-Werthiem – Freudenberg, Colonel Frederick F. Minchin, and Captain Leslie Hamilton. A 47 foot section was brought aboard the Kyle, and eventually to New York. Those who examined it offered the opinion the plane had hit the water head-on at an approximate speed of 90 mph. Most likely it had dove in nose first. The bodies of Bertaud, Hill, and Payne were never found, but at least the mystery of what happened to the Old Glory was solved. 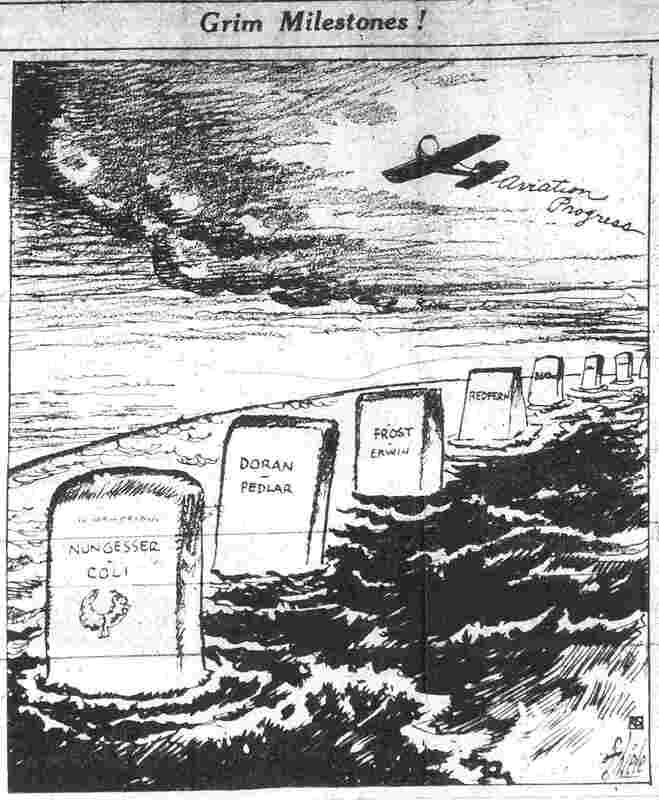 There were those who felt such dangerous oceanic flights should be stopped, and cited other instances where planes had gone missing and lives lost, but despite these protests, airmen all around the world were determined to continue setting new records and pushing the limits of flight ever higher, faster, and farther. Would we have ever made it to the moon if they hadn’t? In early September of 1927, Connecticut’s Governor John H. Trumbull was visiting Maine’s Governor Ralph Owen Brewster in Maine. Brewster had arranged for Trumbull to fly from Moosehead Lake to Augusta in a Maine State Forestry airplane, but after inspecting the aircraft, Trumbull decided he didn’t like what he saw, and opted to take a train instead. On September 5, Pilot George Maxim of the Maine Forestry Department was flying two passengers over Lake Cauconigumoc in the very same airplane when it crashed and sank in the lake, taking Maxim and one passenger to the bottom. On September 22, 1929, a Waco bi-plane with two men aboard crashed in a gully in Rumford, Maine, killing both the pilot and a passenger. The aircraft belonged to the Maine Air transport Corp. and was giving sight-seeing flights when the accident happened. 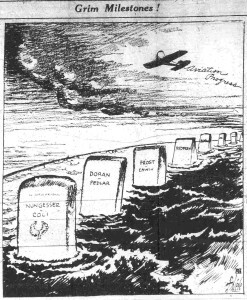 The dead are, Roger Swan(26) the pilot, and Henry Richards, (20) of Ridlonville, Maine. Richards was the 26th passenger of the day when the accident happened. On May 21, 1941, four men took off in a hydroplane from Lake Wassookeag, but shortly after it became airborne the motor failed. The plane quickly lost altitude and crashed on land bursting into flames on impact. All four men were from Dexter, Maine. One man suffered a broken jaw; another a skull fracture; the next critical burns; and the last a broken leg and burns. Source: Woonsocket Call, “Maine Men Hurt In Plane Crash”, May 21, 1941, page 1. As part of a July 4th celebration in Portland, Maine, Professor Joseph Laroux of Portland, and his assistant, James Corcoran, 28, of Lowell, Massachusetts, were scheduled to give an exhibition of a triple parachute jump from a hot-air balloon. The plan was to have Corcoran ascend in the balloon to an altitude of 6,000 feet while Laroux stayed on the ground. When the balloon had reached the required safe altitude, the Professor was to fire a series of gun shots as a signal for Corcoran to jump. Shortly after 4 p.m., the balloon took off from the Eastern Promenade before a crowd of 5,000 spectators. When it had risen barely 500 feet, some members of the crowd began firing revolvers into the air which confused Corcoran into believing it was safe to jump. Corcoran hit the ground before the first parachute could open receiving fatal injuries. Mr. Corcoran was survived by his wife and a child. On the evening of September 8, 1908, 18-year-old Fred Owen of Haverhill, Mass. was giving a demonstration of his airship at the Maine State Fair before a large crowd. While at a altitude of 2500 feet, he apparently lost steering control of the ship, and found himself being carried by wind currents over a dense forest. Fortunately he managed to land safely in a field near Bowdoin Center roughly twenty-five miles from where he started. Source: (Woonsocket) Evening Reporter, “Boy Has Wild Ride When Airship Runs Away”, Sept. 9, 1908. At about 5:15 p.m. on April 22, 1974, a small plane containing a student pilot and his instructor took off from an open field in the town of Boothbay Harbor, Maine. According to witnesses, just after takeoff, the plane lost altitude and crashed in a large body of water known as Adams Pond. Both men made it out of the plane and began swimming to shore when the student pilot disappeared. The instructor successfully made it to shore. On February 7, 1974, a lone pilot took off in a Cessna 172, (N3527Q), from the ice covered Beech Hill Pond in Otis, Maine. (The pond is a large body of water, about 4.5 miles long, and a half-mile wide.) The plane remained airborne for about ten minutes before the pilot attempted to land back on the pond. In doing so the plane crashed and he was killed. On June 22, 1973, a Piper Aztec with two men aboard was expected at Barring Air Strip, (reported to be located about twenty miles south of Princeton, Maine), but when it failed to arrive a search was instituted. The plane was spotted from the air the following day. It had crashed in a thickly wooded area off Route 1 in Princeton. When a contingent of state troopers reached the plane they found the bodies of both men inside. On August 12, 1973, a Piper Cub float plane with two men aboard took off from Moosehead Lake. Just after becoming airborne, what was described as a “puff of smoke” from the engine came into the cockpit. The pilot attempted to turn back towards Moosehead Lake but his passenger suggested he attempt to land in Shirley Pond instead. Then another “puff of smoke” came into the cockpit before the plane abruptly lost all power and crashed in a field in the town of Shirley. The plane was wrecked, and both men were transported to a medical facility with non-life threatening injuries. On June 20, 1973, a Overseas National Airways, Douglas DC-8 airliner, (N863F), was en-route from Tampa, Florida, to Amsterdam when it stopped at Bangor International Airport to refuel. After refueling, the aircraft was given clearance to take off. As it began going down the runway a tire blew out rupturing a hydraulic line and starting a small fire. The plane was brought to a safe stop and the emergency escape chutes were deployed. Of the 249 passengers and crew aboard, 35 suffered injuries during the emergency evacuation. One woman suffered a broken leg, arm, and collar bone, while another woman broke her leg. The other 33 injured passengers were treated and released. On March 12, 1973, two men , both pilots for the Glen Falls, N.Y. division of the International Paper Company, flew a Beechcraft King Aire aircraft from upstate New York to Portland, Maine, and arrived safely at Portland Airport. The purpose of the flight was for one of the pilots to take an FAA examination the following morning to obtain an additional rating on is commercial pilot’s license. The following day the men met an FAA Inspector at Portland Airport who was to administer the exam. After taking part of the exam on the ground, the three men climbed aboard the King Aire for the practical portion of the test, with the pilot taking the exam at the controls. Part of the exam included touch-and-go landings, and as the aircraft was approaching Runway 36, it suddenly crashed and burned. It was later determined by FAA investigators that the pilot was executing an “emergency maneuver” at the time of the accident. The pilot taking the test, and the FAA Inspector were killed in the crash. The third man received non-life-threatening injuries. At 5 p.m. on July 4, 1887, the balloon “Columbia” made an ascension from Lincoln Park in Portland, Maine, with two men aboard: the pilot, Professor Charles H. Grimby, (or possibly Grimsby), and an unnamed passenger who was a reporter for the Boston Globe newspaper. When the Columbia was fifty feet in the air it was caught by a strong wind and pushed into some telegraph and telephone wires briefly becoming entangled before breaking free. It then climbed to 3,000 feet where it began drifting eastward towards the waters of Casco Bay and the Atlantic Ocean. To be blown out to sea would have meant certain death, so Professor Grimby opened the valve to the balloon hoping to land on one of the islands in the bay. As the balloon began to drop he threw out a long drag rope to slow their speed. The rope whipped and snapped through the water but did little to halt their progress. Finally the drag rope became snagged on a grouping of rocks which briefly stopped the balloon and held it, but the strong wind kept rocking the balloon and before long the rope broke and the Columbia continued on out over the water. Finally enough gas had been released through the open valve to cause it to plunge into the water. The gondola, with the men inside, was almost completely submerged as fierce winds continued to buffet the balloon and push it across the bay while both men held on for their lives. By this time the men were well away from shore and without life jackets. Fortunately their plight was seen by those aboard the yacht Mermaid, and the boat gave chase. The Mermaid eventually caught up to the balloon and managed to rescue both men. The balloon was not recovered. Professor Grimby told the press it was the most exciting and dangerous trip he had ever made. 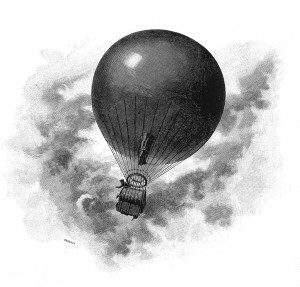 On July 4, 1892, a female aeronaut identified as “Madame Patti” was scheduled to make a balloon ascension at Augusta, Maine. The balloon rose briefly before it fell into the swift flowing Kennebec River where Madame Patti became entangled in the rigging. Fortunately she was rescued and brought to shore where it reportedly took thirty minutes to reviver her. 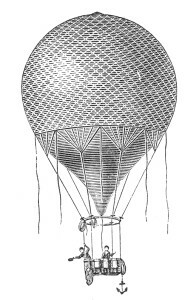 On September 24, 1860, Dr. W. H. Helme, along with William Hill and Peter Dean, made a balloon ascension from Providence, Rhode Island. The balloon traveled north-northeast and after five hours landed in Newton, New Hampshire, a town just over the border from Massachusetts, about ninety miles from Providence. A strong breeze was blowing as the men began to allow the gas to escape from the balloon. When the balloon had partially deflated, it broke free of the netting and sailed off on its own minus the gondola and any pilot. It was later recovered in Kittery, Maine. On the morning of April 19, 1909, a balloon, piloted by William Van Sleet, took off from Pittsfield, Massachusetts, and drifted northeastward. Four hours and fifty minutes later it came down in some treetops in a forest north of Biddeford, Maine. Neither Van Sleet, or his passenger, Oscar R. Hutchinson, were injured. The men climbed down the trees and reached the ground safely. The distance traveled was calculated to be 160 miles in a straight line, but was actually 50 miles longer by the route taken. It was reported in the Bennington Evening Banner that the men had “completed one of the longest balloon trips ever made in New England”. Shortly after noon time on September 13, 1931, a small plane with two men aboard crashed in a potato field near the Presque Isle Airport. Witnesses said it failed to come out of a spin. Ralph Morritt, manager of the Presque Isle Airport, was killed instantly. Raymond Stone, 27, succumbed to his injures at a nearby hospital. 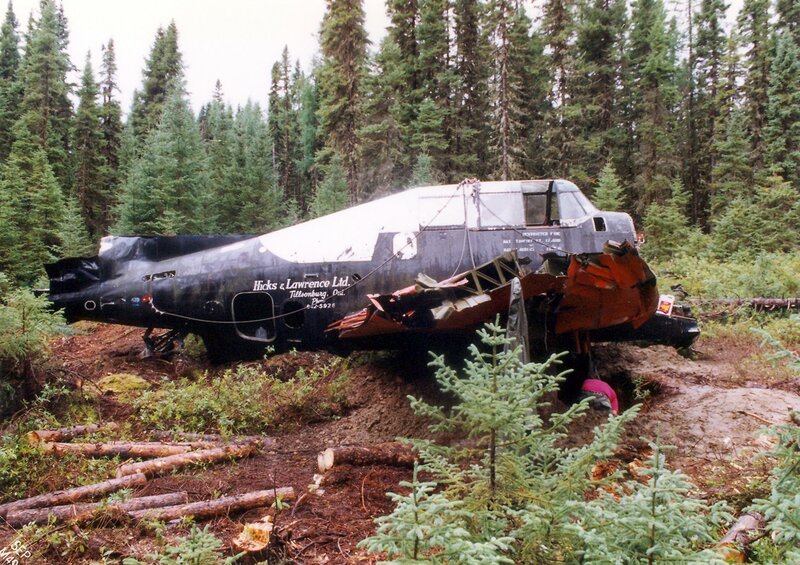 On the night of May 11, 1973, a Cessna 402, (N-2985Q), carrying six people went down in a wooded area between Greenville Airport and Moosehead Lake. All aboard were killed in the accident. (Pilot) Claude Goodrich, of Epping, New Hampshire. (Co-pilot) Paul Crawford, of Nashua, New Hampshire. Passengers Stuart Kimball and his son David, 12, of Manchester, New Hampshire, and Peter Cook, 41, and his 15-year-old son Forrest, of the Manchester-Concord area. On may 26, 1977, a Cessna 182F (N3148U) crashed near Black Cat Pond in the town of Oxbow, killing all three persons aboard. The dead were not identified. On September 2, 1908, Charles O. Jones was giving an aerial exhibition of his dirigible balloon, the Boomerang, at the Waterville, Mane, fair grounds, when a small fire erupted while the ship was just over five-hundred feet above the ground. When Jones realized the danger he pulled an emergency cord to rapidly deflate the envelope. As he did so the fabric ignited, causing the frame suspended underneath containing Jones and the motor to fall away and crash to the ground. Jones died about ninety minutes later of his injuries. The accident was witnessed by his wife and child. Charles Jones was an intrepid early aeronaut. Just a few weeks earlier on July 19, he and the Boomerang were almost carried out to sea over Long Island Sound. On the afternoon of July 23, 1908, he made an ascension with the Boomerang from the Palisades Amusement Park during a severe electrical storm saying he needed the experience. After rising to 3,00 feet he became lost in the clouds. When he descended below the clouds he found himself in driving rain which short-circuited the batteries of his airship. The airship was pushed ahead by the strong winds over Hackensack, New Jersey, where he was able to land safely. On July 26, Jones once again took off from Palisades Amusement Park, but this time his airship crash-landed on the roof of a house about a quarter of a mile away from its starting point after being damaged by trees and electrical wires during the take off. On March 26, 1946, pilot David Moores, 19, of Old Orchard Beach, Maine, was alone in his airplane over the town of Scarborough when he developed engine trouble and the plane began to loose altitude. At a location near Black Point Road, the aircraft snagged on electrical wires causing the plane to crash. Although the plane was badly damaged, Moores walked away with only minor injuries. Very little was stated in the newspaper article about this accident. On April 18, 1932, Joseph Snow, of Pine Point, Maine, and Wendell S. Carney, of South Portland, Maine, were seriously injured in a plane crash at Old Orchard Beach and taken to Webber Hospital. An even briefer article was found in the Montreal Gazette which stated the plane went down in the water. That article also mentioned a Sam Snow was killed in the crash and another man was rescued. Lewiston Evening Journal, “Old Orchard Crash Victims Improved”, April 19, 1932. At 8:28 p.m. on August 19, 1971, Downeast Airlines Flight 88 departed Boston’s Logan Airport bound for Rockland, Maine, however, due to fog conditions the flight was re-routed to Augusta State Airport in Augusta Maine. There were eight people aboard; the pilot and seven passengers. The aircraft was a Piper PA-31, registration N595DE. The flight reached the Augusta area just after 9:00 p.m. and was cleared for a VOR landing approach, but at 9:27 p.m. the pilot reported he’d missed the approach and received clearance to try another. Intermittent clouds and fog were over the Augusta area hampering visibility. At 9:40 p.m. the pilot radioed that he was now “four miles out” from the airport. 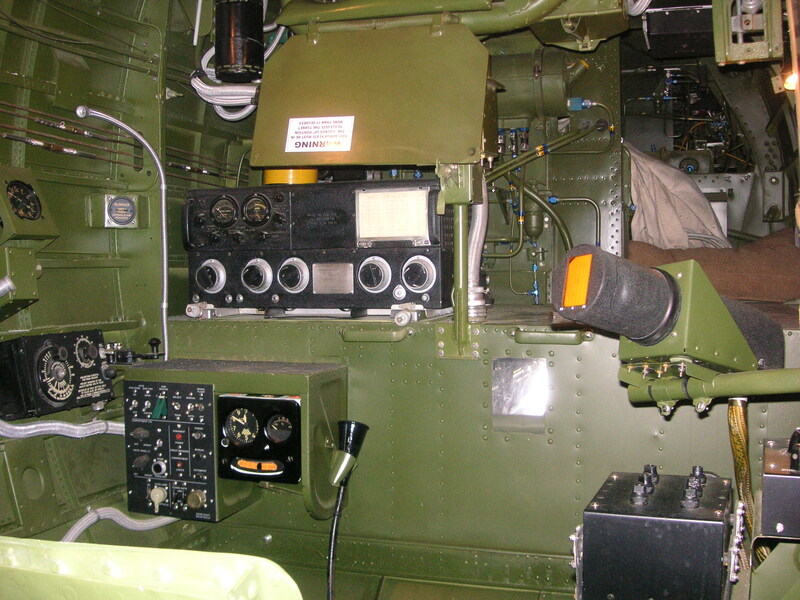 This was the last transmission received from the aircraft. Two minutes later the tower at Augusta tried to contact the flight and got no response. Flight 88 had plowed into the side of Allen Hill, a thickly wooded prominence in the town of Manchester. Allen Hill is about 640 feet high, and the aircraft struck at about the 520 foot level. The wreckage path extended for 325 feet from the point of impact along a heading of 170 degrees. The crash site is about four nautical miles from the airport’s runway 17. The pilot, Dwight French Jr., and two passengers were killed. Two other passengers were seriously injured, and three other passengers received minor injuries. On July 2, 1967, a pusher Seabee carrying five people crashed in Penobscot Bay about 500 feet from shore in 35 feet of water. The plane was nearly torn in half by the impact, and there were no survivors. (Pilot) Victor Quintinella Jr., 37. David A. Mahoney, 46, his wife, Marjorie, 36, and their two sons, David J. 4, and Thomas D. 2. The TBM-3E Avenger modified for crop spraying as it looked in 1991. Note the engine is missing, and the cowl ring lies in the foreground. 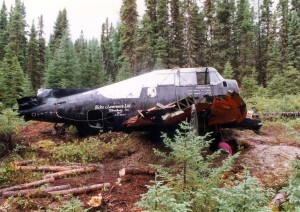 On May 19, 1972, a former World War II, U.S. Navy TBM-3E Avenger that had been converted to a crop sprayer was on a flight from New Brunswick to Ottawa, Canada, on a course that took it over U.S. airspace. While over northern Maine, the plane developed engine trouble and the pilot, Alan Woytaz, 40, was forced to make an emergency crash-landing in the Maine wilderness. The former warbird belonged to Hicks & Lawrence Ltd., an aerial spraying company based in Ontario, Canada. On the day of the crash, Woytaz was piloting one of four aircraft sent to New Brunswick to have the sprayers calibrated. Afterwards, as the four planes made their way to a spraying job north of Ottawa, the carburetor on Woytaz’s plane malfunctioned. The area Woytaz had gone down in 1s extremely remote, and under other circumstances he might never have been found. Fortunately, one of the other pilots witnessed the crash, and circled briefly before having to fly on due to oncoming thunder storms. Woytaz was forced to spend the night in the aircraft until he was rescued the following day. Another view of the crash site. Note brush and trees have been cleared. 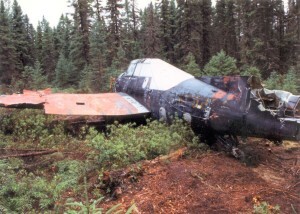 The aircraft was not recovered, and remained where it fell for the next 19 years. During that time portions of the plane were removed. Three brothers from St. Pamphille, Quebec, hiked to the wreck, and over a period of three weekends, carefully disassembled and removed the engine, hauling it in sections through the thick forest and across a river to their home. This was no easy endeavor, for the fully assembled motor weighs 2,600 pounds. At their home, they reassembled the engine and preserved in in working order. Other parts such as cockpit gauges were removed by the occasional souvenir hunter, and at one point a family of bears used the fuselage for their home, but overall the aircraft remained in good condition. 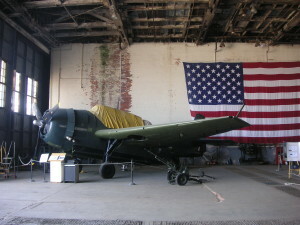 Eventually the wreck came to the attention of the Rhode Island Aviation Heritage Association, which was interested in recovering and restoring it as a warbird. 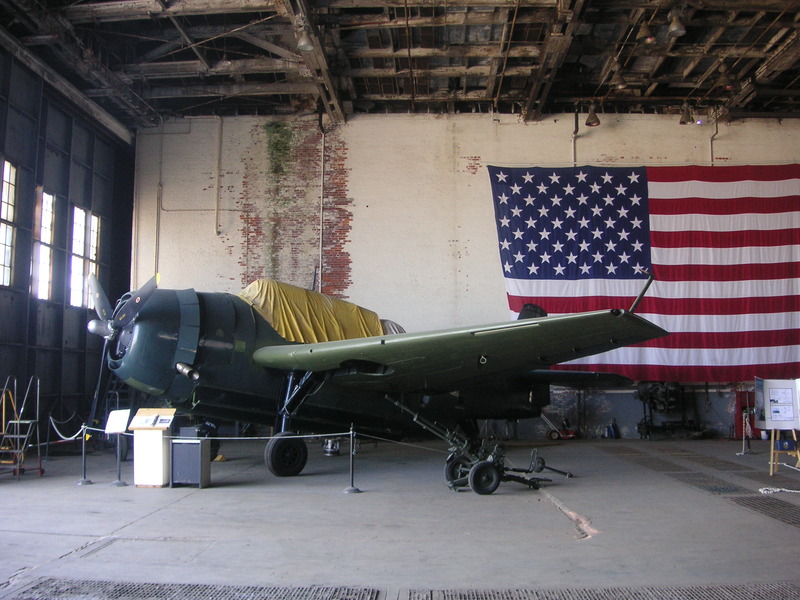 The plane held special significance because it was the same type flown by former President George H. Bush during World War II, and Bush had received his flight training in Charlestown, Rhode Island. If the plane could be salvaged, the plan was to restore it with the markings of Bush’s aircraft. 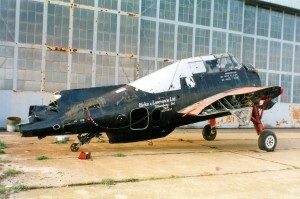 The association sought, and was granted, permission to salvage the Avenger. An incredible amount of planning and logistics went into the recovery. As stated, the plane had gone down in a remote area, and the only practical way to bring it out was by air-lifting it via helicopter – a very big helicopter. Yet before that could happen, the land surrounding the wreck had to be cleared, which meant cutting down trees and removing thick brush. Over the years the plane had settled into the soil, which had to be dug away, and the wings had to be removed to reduce weight. Arrangements were made with the Connecticut Army National Guard to use one of their helicopters to air-lift the plane from the woods. This was done as a three-day training operation for the Guard. 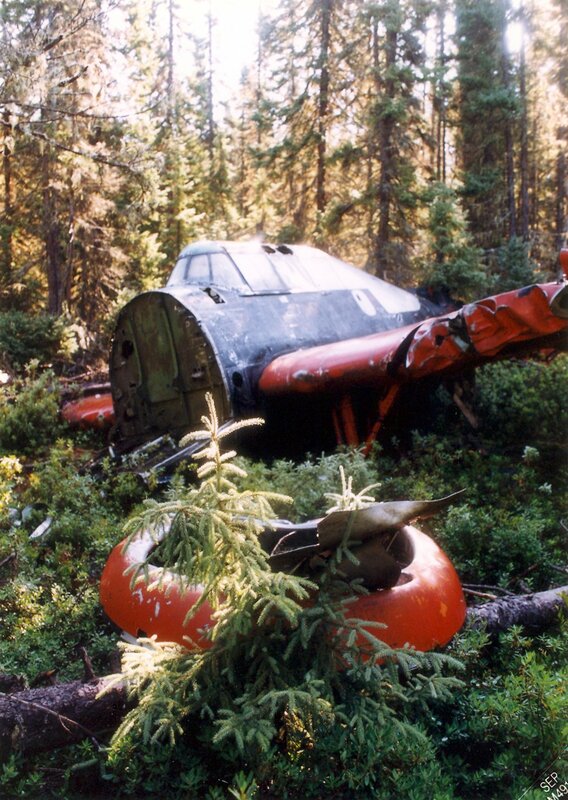 Once the plane had been extricated from the wilderness, it had to be transported to Rhode Island by flatbed trucks. Numerous man-hours went into this project. The engine wasn’t overlooked, and a deal was struck to purchase it from the men who recovered it. It too had to be transported to Rhode Island. 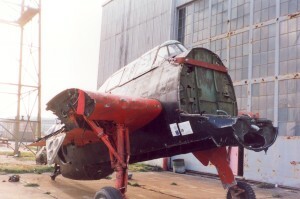 Front view prior to restoration. The removal took place on September 17, 1991, and within a few days the Avenger arrived at the Quonset Air Museum in North Kingstown, Rhode Island. Over the next several years volunteers worked diligently to bring it back to its former glory. As a result, the TBM-3E Avenger, (Bu. No. 53914) is now on display at the Quonset Air Museum. Of the 9,839 TBM/TBF Avengers built, less than 200 survive today. Bangor Daily News, “Recovery Operation Had Its Exciting Moments, But It Was Scary Too.”, September 21, 1991. Morning Sentinel, “WWII Bomber Retrieved”, more detailed article than one above- no date. Other information and photos provided by Larry Webster, Aviation Archeologist and Historian, Quonset Air Museum.